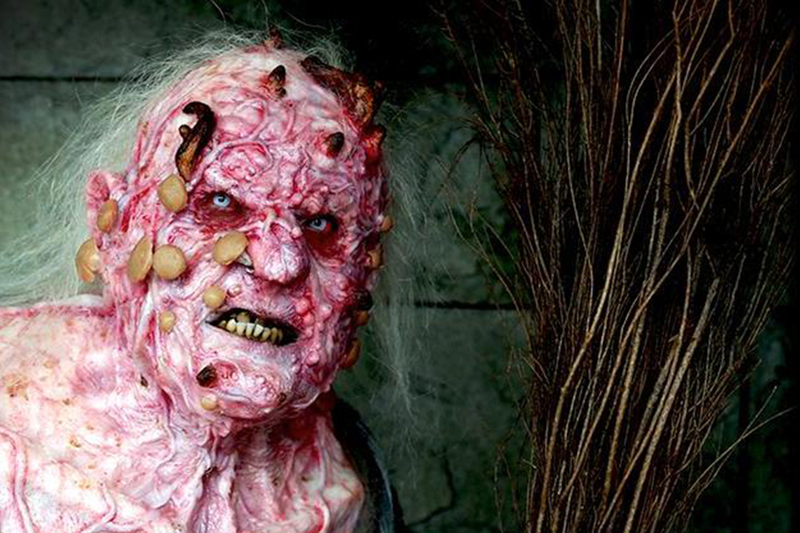 Ranked as the sixth most influential house of all time by Hauntworld Magazine, Netherworld is located in Norcross, GA, and features movie-quality sets and actors that transform into terrifyingly believable monsters. From the moment of arrival, the haunting atmosphere is exceedingly apparent, and the impending immersion into this new world leads to a quickened pulse and heightened excitement. Persistent characters stalk people before they even get to the line. The theme for this year’s haunts is “Season of the Witch.” The witches believe that suffering can save mankind from the Dead Ones. The new attractions include the Necromancer and his Army of Corpses. One other thing to be warned of is that being in the back means being the most susceptible to stalking actors. The decorations used in the house resulted in a startling realism. Walking through it was like creeping through the witches’ dungeon, wading through a swamp and trekking through a graveyard. Around every corner hid a creature ready to pounce. Actors managed to get right into the action without actually touching the jittery groups. The anticipation of the unknown was the scariest element of the trek; there was great hesitation to turn each corner and face the newest skeleton but none were willing to wait for something that could come from behind. Actors capitalized on any sign of fear, and would not cease to make things as terrifying as possible. The main attraction takes roughly twenty minutes, but after taking everything in, people came out feeling like they were there for hours. The light effects were astounding and unnerving as each entrance presented an eerie pathway. The strobe lights made seeing difficult, which made walking and running a challenge. One tunnel spun as people tried to inch through it. Another tunnel was even scarier as it filled with fog creating an especially creepy vibe; the fog was waist high, the floor wasn’t visible and hidden hands brushed ankles. Despite all the screams and sweat, there was a visible yearning for more, as people left the final segment of Netherworld. While the costumes and set were disturbingly impressive and convincing, alone they are not scream-worthy. The real horror of the house was the element of surprise. Whether people going to Netherworld for the first time or their twentieth time, bringing friends adds the entertainment factor. The team behind this long-standing attraction is already working on next year’s theme, set design and monsters to make the experience even more chillingly over-the-top. For a great Halloween experience that is not a typical horror-flick, Netherworld provides an ideal fright-night for anyone.